Chuck Hacks Into the CIA Mainframe | Words. On the Internet. 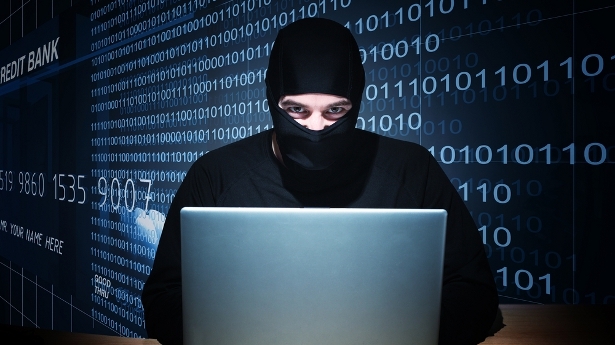 All real hackers dress this way. It’s to conceal their identity from the Cyber Patrol. Chuck shifted forward in his seat slightly, grabbing two cans of Mountain Dew Code Red from the nearly empty case beside him. He popped open the tab on the first, then downed it in a single gulp. He’d trained himself to drink quickly, so as to avoid having to take his eyes away from the screen for too long. He knew that what he was doing was illegal, that he could be arrested by the Cyber Patrol at a moment’s notice. He had to remain alert, at attention. He had to make sure he kept his eyes on the monitor at all times. He opened the second and finished it in another giant gulp, then placed his gloved hands back on the keyboard. The bright, green “Access Granted” continued to flash in front of him. The next step, the next click of his mouse, would dictate his future. Everything he could ever want—winning lottery numbers, hidden government secrets, access to millions of people’s personal information—lay in wait. Yet if he was caught, if he made so much as a single wrong turn in the labyrinth of cyber space, he would find himself in prison for the remainder of his life. Still, he’d made up his mind weeks ago, and it had nothing to do with money. All Chuck wanted was justice. Chuck slammed down the enter button on his keyboard, the “Access Granted” sign vanishing, a series of folders and words taking its place. There was no turning back now, all he could do was get in and get out. He adjusted the ski-mask concealing his face, made sure his gloves still covered his finger prints, and strapped on the seatbelt holding him to his chair. He then took a deep breath and returned his hands to the keyboard, his eyes finally falling onto the words beneath the rows of folders before him. “Bank Accounts,” “Social Security Numbers,” “Mortgage Files,” “Vaccines,” – it wasn’t there. It wasn’t on the page. It had to be there—it wasn’t possible. Unless—Chuck shot forward in his seat, the seatbelt keeping him from toppling over onto the ground into the nearly knee-high pile of empty Dorito’s bags. He quickly threw together a HUD using XML to establish a meta code in the access files. The screen flashed white, all of the folders abruptly melting from the page. A single, previously hidden folder remained, the words “Government Secrets” below it. Chuck exhaled slowly, then pulled his mouse over to the folder and double clicked. The screen lit up in a bright green hue, a series of illegible characters flowing vertically down the page. An algorithmic hexadecimal security matrix: he’d only seen one before, a black-market version that only worked half the time. They were the ultimate answer in network security, almost unbeatable to the average human. Chuck had only tried to beat it once, but had not been quick enough to crack it. Regardles, it was too late to turn back. He had to risk it, even knowing that failure meant incarceration or even death. He took a deep breath and held his hand over the mouse, waiting for the second to approach. He needed to time it right, to make sure the object-parameter data-port wouldn’t overload itself. If it did, it was all over. Five, four, three, two—he slammed down on the mouse, the text coming to an immediate halt. He was in. Chuck sat forward in his chair and stared at the now-legible folder, dozens of text files accompanied by their associated names. “9/11 Caused by Bill Cosby,” “JFK Murdered by Marilyn Monroe,” “Roswell Alien Hosts Probing Lecture at MIT,” “Sesame Street Mind Control Tactics,” – he wasn’t interested in the mundane. He needed to figure out the reason behind America’s true enemy, it’s true evil. He stopped, his eyes growing wide: “Super-Secret Comcast Document.” He pulled his mouse over and double clicked, a small, white notepad file opening up on the page. He began reading. Chuck skimmed further down the page. He knew he’d been right, knew that those who mocked him did so out of their own ignorance. He rolled his mouse-wheel down the page. “STOP WHAT YOU’RE DOING,” shouted a deep, familiar voice through Chuck’s monitor. He thrust back against his chair, the right click menu closing as his hand flung off his mouse. “Like hell we won’t,” the monitor responded, its screen beginning to fill with static. They were destroying the evidence, using a third-party cohesion hinderer to replace the webpage with static. He’d have just a few more seconds before it was gone. He needed to save it, to get it out to his dozens of Twitter followers and Tweet it out to the world. Chuck reached forward for his mouse, the seatbelt preventing him from moving close enough to grab it. The sudden thrust of his body backwards had locked it in place, like the moment after a car accident. “The world is mine,” said the voice. It sounded so familiar, so deep and soothing. Even while in a fight for his freedom, something about it seemed comforting. “What do you mean?” Chuck said, trying his best to keep the voice occupied while he freed himself. He thrust his fingers against the lock, his muscles failing to respond. The screen was now half static. It was him, the man behind it all. The shadow behind the army. Barack Obama. Chuck grit his teeth and thrust his hand down, the seatbelt finally springing open. It whipped back around him and slapped against his chair. Chuck lunged forward and slammed his fist down on the right button of his mouse, the screen responding immediately. He flung his wrist downward, reaching for the “Save As” option, before clicking on it with all his might. He closed his eyes just as the screen filled with a blinding white of static. “Yeah,” Obama said, his voice suddenly quieting down. “Or maybe you missed your mark.” He seemed to be laughing for some reason. Chuck glanced up at the monitor, his eyes growing wide. Through the static, a small, rectangular box remained, the words “Open” and “Save” listed beneath it. He grabbed at the mouse, frantically pulling it to the box, but each option was grayed out and unclickable. So good. Gotta love chuck! As the person above said, the attention to little details makes it even more interesting.